Best for 2 – 5 year olds? The Hape Ukulele. Hape is a German company, and have been creating Ukulele’s for kids since 1986. Tough, light, safe and FUN! Red or Blue! Grab one here. Best for 6 – 10 year olds? Hola! HM-21. Perfect for this age group. Comes in cool colors, quality construction and our readers LOVE them. Check discount here. Best for 11 – 15 year olds? Can’t get much better than the Kala KA-15S Mahogany Soprano. We love this brand, and you will too. Quality and huge value. Find one here. So, let’s be diplomatic here. Is your child, um, physically adventurous? Are they likely to stand on the ukulele or try to make it fly or see if it floats? We get it! Here’s our best pick for your little tiger. The Kala Makala Waterman. 9 million people can’t be wrong. The ultimate child-proof Uke! Why not get one that glows in the dark? Best for 2 – 5-year-olds? The Hape Ukulele. Best for 6 – 10-year-olds? The Hola! HM-21. Best for 11 – 15-year-olds? The Kala KA-15S Mahogany Soprano. 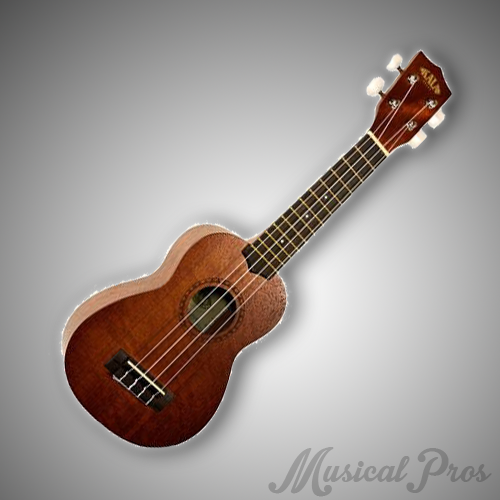 Size – ukuleles are naturally smaller than guitars, making them a natural choice for the smaller body of a child. A smaller instrument also means the child will be much less likely to damage it (or something else in your home) as they run around the house with it. Complexity – the ukulele is a relatively simple instrument, especially when compared to all the other options out there. There’s only 4 strings as opposed to 6 on a guitar, and you can strum the instrument with your hand or fingers, as opposed to need a guitar pick to play. This makes it a lot more natural for kids to figure out, as they only need to learn the ukulele and not how to properly hold some other object at the same time. Material – if you’ve ever tried to learn to play the guitar, you might remember how raw and sore your fingertips got from practicing holding down the metal strings. That’s a huge deterrent from getting a child to learn a musical instrument! Luckily, ukuleles use softer, nylon strings. 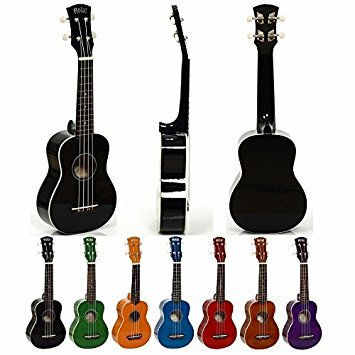 This makes ukuleles perfect for young children as it won’t tear up their hands when they’re supposed to be having fun.